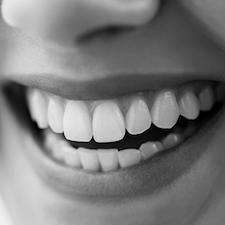 Even if your teeth are perfectly healthy, you can still not really like the way they look. They can be stained, chipped, cracked, misshapen, oddly spaced…the list goes on. If you’re looking to get rid of any of these flaws, then our cosmetic services are exactly what you’re looking for. 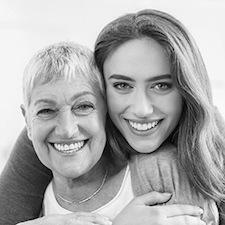 With just one or two of the treatments outlined below, Dr. Jerry Bock can give you the smile you’ve always wanted. Whether you want a minor touch-up or a complete makeover, now you can have it! Each set is completely custom-made by a master ceramist, and you can get them in as little as two visits. The material is even stain resistant, meaning you won’t have to worry about keeping your new smile white. 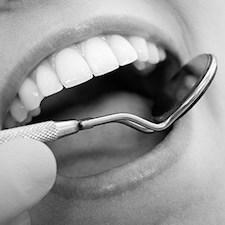 If one of your front teeth has been damaged, we will never use a noticeable metal crown to repair it. Instead, we’ll utilize something called an all-porcelain restoration. Dental porcelain is one of the most advanced materials in all of dentistry: it’s as strong or stronger than natural enamel, and it can be specially shaded to perfectly match the color of your teeth. In the end, this kind of restoration will make it look like nothing ever happened to your tooth. 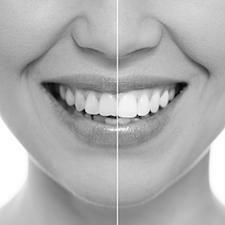 CAN TEETH WHITENING BRIGHTEN MY SMILE? Yes, it can! We offer a professional whitening treatment that can eliminate a wide variety of stains whether they come from coffee, wine, tobacco, or even aging and genetics. With ZOOM! Whitening, we can make your smile up to 8 shades brighter in one single appointment, using a powerful bleaching gel in combination with a special UV light. This treatment is excellent for people with a busy schedule who always want to look their best. There are plenty of take-home whitening kits available in stores today, but none of them offer the same reliable results as our own ZOOM! Nite White kits. With our kits, you’ll get a set of custom-made mouth trays designed to fit comfortably over your teeth and a bleaching agent much stronger than anything you can buy yourself. All you’ll need to do is wear the trays with the gel for about 30 minutes a day for two weeks to see a dramatically whiter smile. If you have a “gummy” smile where your teeth appear too short, then we have a quick an easy treatment that can address this exact issue. Dr. Bock will use a highly-precise soft tissue laser to gently remove excess gum tissue and expose more of your natural teeth. He’ll also shape your gum line to give you that perfectly proportioned look. Thanks to the laser, this procedure is practically painless and can be completed in just one visit!